Bangkok, 14 September 2018 – Yasothon province is promoting the Toomka Lantern Festival, which is the only one in Thailand to celebrate the end of Buddhist Lent. The festival will be held on 19 – 24 October 2018. 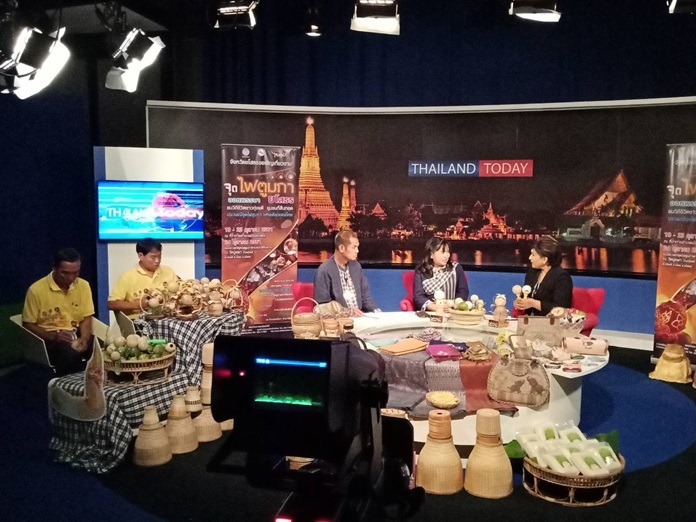 The Head of the Tourism Learning Center, Sukhawittayakorn the first Municipal school, Yasothon Municipality Department, Mrs. Paung-oy Chaidee has revealed that the festival is the ancient practice of Ban Thung Tae,Yasothon province. In the past, the local transform Toomka, a local fruit, to be a lantern with crafted pattern. The festival will be held in worship of the Triple Gem at the end of Buddhist Lent. She added that the festival will promote tourism to Yasathon province and the other places nearby. Visitors will see thousands of beautiful lanterns made from Toomka hanging around buildings and will enjoy the exquisite traditional dance called “Plern Chai Fai Toomka” by over thousand performers. Furthermore, you will be able to make your own lantern to take home. The festival will be held on 19-23 October 2018 in the handicraft and cultural area in front of Yasothon District Office, and on 24th October 2018 at Wat Burapa, Ban Thung Tae, Muang Yasothon, Yasothon Province.